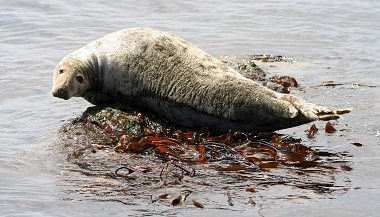 Atlantic Grey Seals are very common in Loch Pooltiel. They are very curious of people and will come closer to investigate if you whistle or sing at the sea-shore. There are usually a few basking daily on the skerries in Loch Pooltiel at low tide. This area is the best place on Skye for seeing whales, porpoises and dolphins. Dolphins are often seen outside the Three Chimneys Restaurant at Colbost. Minke whales and basking sharks are regularly seen off Neist Point from late April until the end of the Summer, with June/July being the peak months. Otters often hunt for sea urchins on the shore of Loch Pooltiel and they regularly fish for trout in the many burns that flow into the Loch. 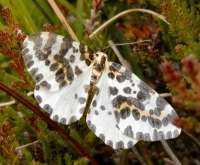 Some very interesting and unusual plants are common in Milovaig including Heath Spotted Orchid, Fragrant Orchid and Early Purple Orchid. Carnivorous butterworts and sundews use their sticky leaves to trap passing flies. Bog Asphodel, Ragged Robin, Saxifrages, Spurges, Thrift and Monkey Flower can be found. Black Guillemots are the commonest auk and are resident all year round. Gannets plunge-dive for fish into the Loch in the long Summer evenings. Fulmars nest on the sea cliffs. Oystercatchers, Curlews, Snipe, Common Sandpipers and Rock Pipits are very common around the shoreline of Loch Pooltiel and breed on the heather moorland. Whimbrels pass through on migration and Golden Plovers are common in Winter. 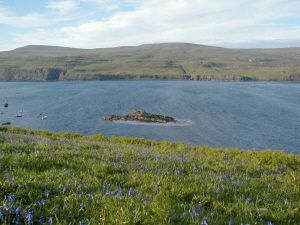 Bluebells flowering beside Loch Pooltiel. Milovaig is renowned for it impressive displays of wild flowers, with the fields beside Loch Pooltiel carpetted with flowers from Spring until late Autumn. 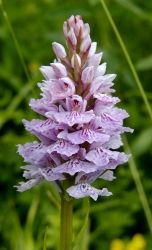 The Primroses and Violets of Spring, give way to beautiful wild bluebells in June and, in turn, to Orchids, Wild Herbs, Vetches and Heathers in Summer. Grey Seal at Neist Point, Isle of Skye. There was a constant stream of migrants coming in off the sea from the north-west (North Uist or Harris?) at Ramasaig throughout the day. They were mostly meadow pipits in groups of 5 to 10 arriving every few minutes. There were several swallows and sand martins amongst them. There were several greenland-race wheatears, three white-wagtails and a juvenile ringed plover at Ramasaig Bay. There was a pair of teal, two great northern divers and several manx shearwaters off-shore. 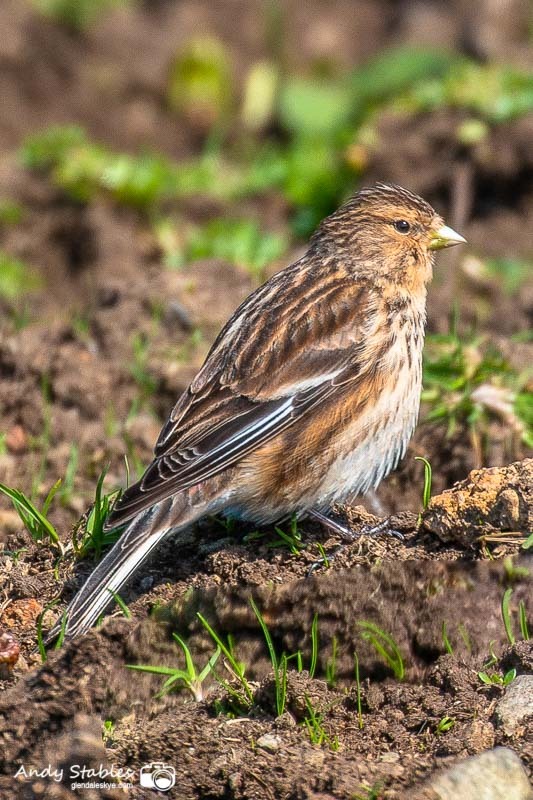 There were seven twite at Ramasaig Farm and two more at Borrodale. A skein of 120 pink-footed geese flew North past Ramasaig. 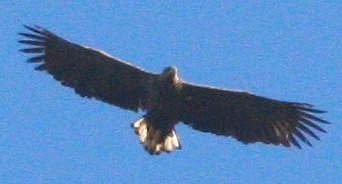 Both White-Tailed Eagles and Golden Eagles nest in North-West Skye. Merlins and Sparrowhawks often flash past through cottage gardens in pursuit of bird-table visitors. Buzzards are the commonest raptor and pose at the roadsides, to the delight of the tourists, who leave Glendale happy to have seen an 'eagle'. Wheatears, Stonechats, Twite, Ravens, Hooded Crows, Goldcrests, Redpolls and Cuckoos are common around the Cottages and regularly come into the gardens. Chaffinches, Greenfinches, Goldfinches and Siskins visit bird feeders and, in Winter, redwings and fieldfares feed on lawns. Sea Anemones and Winkles at Milovaig. 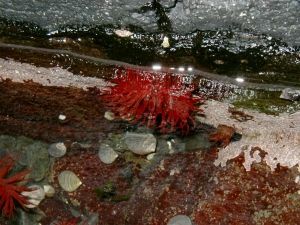 There are fascinating rock pools near Meanish Pier containing beautiful sea anemones, winkles, crabs and sea urchins.